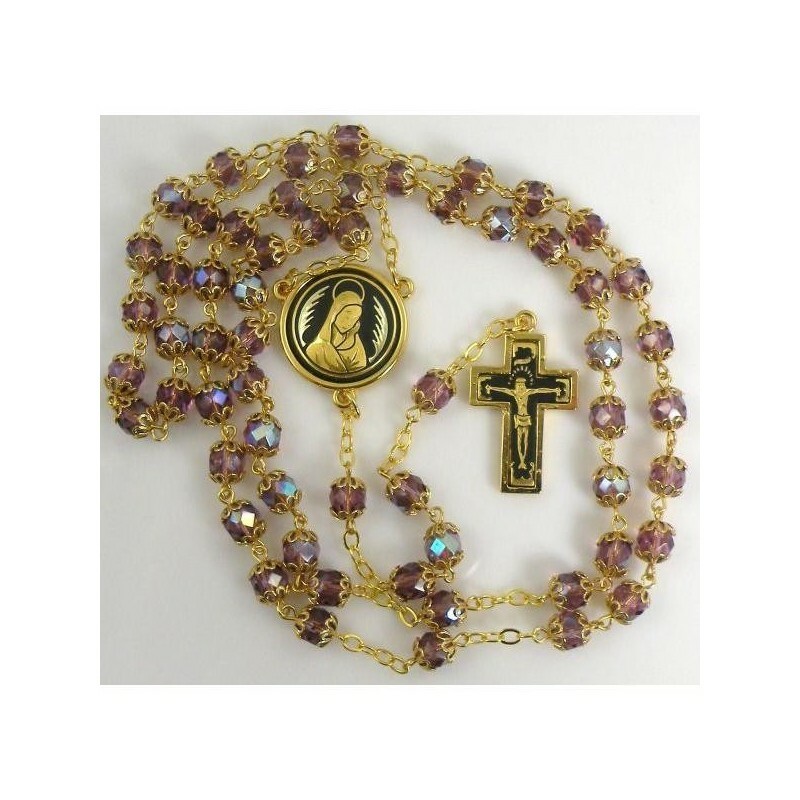 Damascene Gold Jesus Rosary Purple Beads. Damascene Jewelry by Midas of Toledo Spain. Golden Rosary. Religious Christian Jewelry. Beautiful Rosary Beads with handmade gold damascene design work featuring a Jesus Christ and The Virgin Mary design. This rosary has a total length measure of 55 cm. 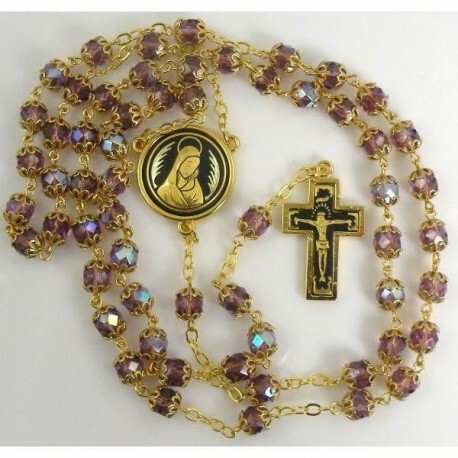 The rosary beads are purple in color. The centerpiece is round in shape.